Life Adventures Camp Counselor Program allows foreign national to work at US Summer Camps as Camp Counselors for up to four months during the US summer camp season. These Camp Counselors work alongside of US staff members and provide additional skill set to teach campers and also a wonderful international feel to the overall camp experience. Life Adventures offers several Camp Counselor options. We work closely with each of our camps and Participants. Returning staff members will find our information portal to be the simplest, and most cost effective method of reapplying for a new visa. Camps and counselors looking for a match will find our portal matching system to offer a complete solution to finding and placing top notch international staff members. 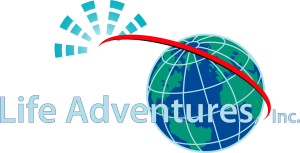 Life Adventures is partnered with numerous recruiting groups from around the world. Our unique partnership agreements, mean that camps have access to wide variety of countries, with staff offering many different skill sets. Without ever leaving the office, Camp Directors can review resumes, pictures and video clips of interested staff who are applying specifically to their jobs – not just looking to be placed at the first open slot. This method creates a much clearer set of expectations and removes uncertainty, creating a much easier transition to camp. Life Adventures works with you and our international staff and recruiters to coordinate the arrival and departure dates and expectations based on your needs and program requirements. We outline specific arrival windows and work with you to ensure arrivals are optimized to your convenience. Participants in the Camp Counselor program are allowed to work only at US summer camps as a camp counselor. Camp Counselors must be at least 18 years of age, posses a strong desire to work with children and have one or more teachable skills. The term of employment and/or the internship may not exceed the four-month program duration, and must be completed during the student’s summer vacation. Additionally, participants are permitted to enter the US up to 30 days before employment begins and may stay to travel up to 30 days after employment ends. HOWEVER, participants are limited to the total amount of time that they are officially on summer break from the university. All participants must obtain a J-1 visa through the US embassy. Life Adventures provides the sponsorship necessary in order to apply for the J-1 visa. (Canadian citizens need only the proof of sponsorship documentation and do not need to schedule an embassy interview). Life Adventures will provide specific details and assistance.